Numbers are growing week upon week for Regents International School Pattaya’s Saturday Sports Programme. With high quality coaches and a number of sports that are not offered in other schools and clubs, such as tennis, triathlon, yoga and gymnastics, it is a great way for kids to remain active on the weekends. The programme is open to students from outside the school with a taster session on Saturday 14th March planned so parents and kids can come down and try out a number of different sporting activities. 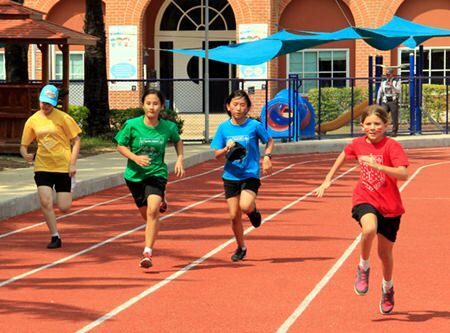 Regents International School offers a variety of different sporting activities on Saturdays. Extended Learning Programme (ELP) coordinator Darren Sipple is delighted that the numbers keep climbing every week.